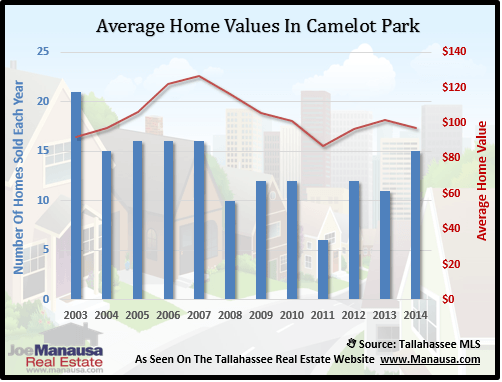 There is a nationwide trend of people moving back "in town" from the suburbs, and if you are wanting to do the same in Tallahassee, Camelot Park offers a whole lot of bang for the buck. 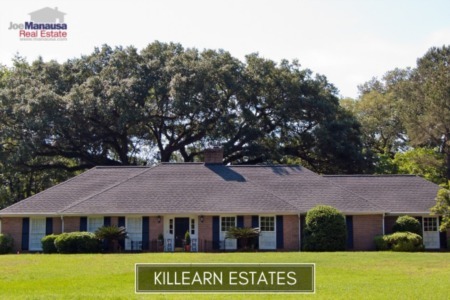 Literally walking distance to some of the best shopping in Tallahassee, many residents of this popular NE Tallahassee neighborhood (though very centrally located) enjoy being within a mile of both Tom Brown Park and the Capitol Building Complex too. If you work downtown, look no further than Camelot Park for convenience and value. 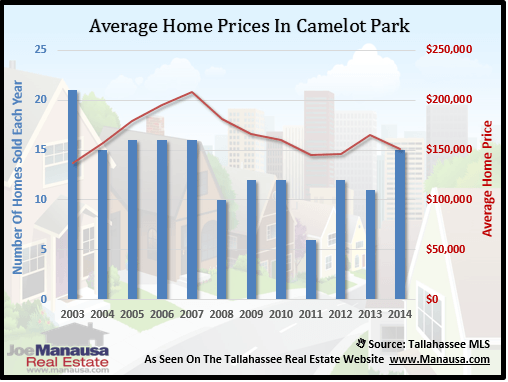 In this report, we have produced a quick but thorough analysis of home prices, values, and sizes in Camelot Park. Additionally, you can view the current listings in the Tallahassee MLS and all closed home sales in Camelot Park going back to 2002. For the graphs found in this report, you will find the number of closed home sales for each year (blue columns, measured on the left vertical axis), and an important real estate statistic shown in red (measured on the right vertical axis. Home prices gave back most of the gains made in 2013, returning to near record lows established in 2011. The average recorded sales price in 2014 was $151,400 for Camelot Park. Sales were robust in 2014, with nearly as many closings as occurred in any of the hottest years of the housing market bubble. With 15 closed home sales in 2014, we can definitely say that demand has returned to normal for Camelot Park. Average home values in Camelot Park declined 5% in 2014, and currently remain 24% below the level set at the peak of the housing market. Home values have only recovered 12% from the low set in 2011, so buyers can still find super opportunities in this highly desirable downtown neighborhood. In 2014, the average value of a home sold in Camelot Park was $97 per square foot. 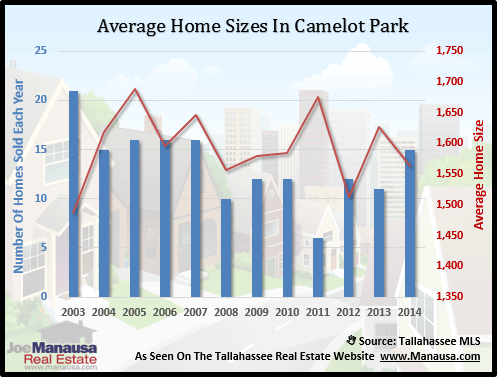 The average size of a home sold in Camelot Park typically falls in a range of 1,500 square feet to 1,700 square feet, and 2014 was not any different. The 15 Camelot Park home sales in 2014 averaged 1,563 square feet. 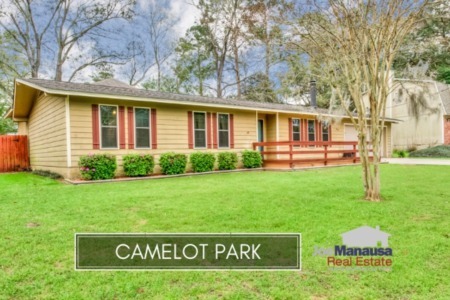 The following list of homes are the most recent listings in Camelot Park. The following list shows home sales going back to 2002 in Camelot Park. I hope you enjoyed our February 2015 update on home sales in Camelot Park, please feel free to drop me a note if you have questions not covered in this report.